Ideal for the Couple on the move, the King sized beds, spring mattress, larger rooms make the Superior King size room at The Gopinivas Grand one of the most sought. 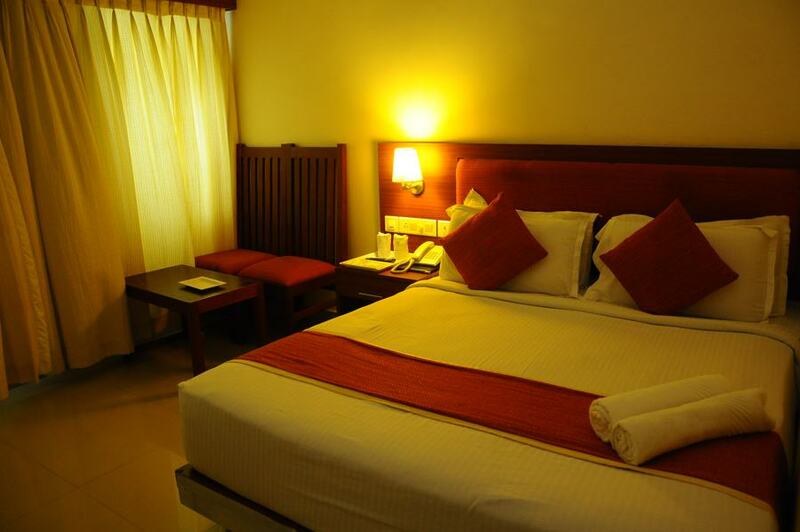 The Carpeted rooms are artfully decorated to suit the cultured tastes of the Urban Traveler. Colorfully painted walls, wall decorations, furniture & the whole ambience is built to appeal to all ages. The bath hosts a Bath tub other than the western closet & shower. A large dressing table with a mirror, mini bar, safe locker, a chair & LED TV make the rest of the arrangements.